Some of the villages and towns of the region are well known and documented in the popular guide books as "Les Plus Beaux Villages de France", others are almost undiscovered yet offer that special something that marks them out as worthy of note. It goes without saying that "beauty is in the eye of the beholder", and for every town or village mentioned as especially beautiful there will be another person disagreeing and recommending their own choice. So here are six places in France that we feel are worth making the effort to discover. The choice of Lagrasse (Lagrasse Property Guide) is not a controversial one. Lagrasse is widely recognised as one of the most beautiful villages in the country, let alone in the region. The village lies in the southerly part of the Aude (Aude Property Guide) in department 11, to the south of Carcassonne (Carcassonne Property Guide), and north of the Mediterranean coast. A delightful mediaeval village beloved by artists, Lagrasse lies in the river valley of the Orbieu, in the foothills of the Pyrénées and, even better, perhaps, in the wine region of the Corbières (Corbières Property Guide). Lagrasse, in its lovely setting in the Corbières countryside, fills the eye at first sight, but its special features are its ancient (early 14th century) bridges, gracefully spanning the river, its narrow streets and traditional stone houses, its covered market square and its famous Abbey Saint Marie de Lagrasse. The Abbey (complete with "donjon" tower) is accessed via the bridges, and remains mainly in good condition. Lagrasse also boasts an interesting Gothic church and parts of the original fortifications. The village itself is full of charm, with mediaeval architecture and a lively ambience. For obvious reasons, Lagrasse is a magnet for artists, and there are various painters and potters who have set up their studios in the village, seduced by its beauty, its history and the Mediterranean light that floods the ancient streets for most of the year. Lagrasse is full of history, but it also offers the more modern pleasures of wining and dining, with a very good restaurant, wine outlets and basic shops. It lies within easy reach of the fairy tale city of Carcassonne, of the Mediterranean coast, and is easily accessed from the UK thanks to the small airport at Carcassonne that is served by budget airline Ryanair. The only real criticism that could be levied at Lagrasse is that the village is a victim of its own popularity, so its narrow streets can become a little overwhelmed with tourists in the peak season. Lagrasse is, therefore, probably best visited in the less popular months in order to fully appreciate its timeless charm. From one of the best known villages in the region we turn our attention now to one that is probably known to but a handful of people. Belvis, which lies in the mountainous part of the southern Aude, on the Plateau de Sault, is a tiny village that could easily be bypassed, even if you should happen to be in the area on the off chance, in itself unlikely! There is little to Belvis really, no grand historic buildings, no mediaeval ramparts nor impressive chateaux, but for those who can appreciate subtlety and authenticity, it should not be missed. Belvis is, quite simply, totally unspoiled, utterly unpretentious and completely authentic. A typical mountain village in every way, its old, sun-weathered houses line a maze of tiny alleyways and narrow streets set around its old church, the centrepiece of village life for centuries. The houses, built of local stone and topped with slate, gaze peacefully onto a community whose way of life has barely altered for more than a hundred years, with mountain agriculture and forestry still being the economic lifeblood of the village. What really makes Belvis special, though, is its setting. The village lies at the point where the twisting, hazardous mountain roads open out onto an impossibly open, green and beautiful plateau. The vista is straight from the Heidi stories, with wide, lush green meadows, home to goats and cattle from whose collars dangle jingling bells, and backed by glorious forests that climb even higher up the slopes of the mountains. On the drive up to Belvis you will pass by dramatic gorges, and on the nearby peaks you will see the remains of the Cathar strongholds so notable in this historic region. Belvis is not, in any way, a busy centre of modern life, but it does offer a very sweet bar and restaurant (run by an English couple), known as Le Petit Jardin. You don't have to be British to enjoy its food and hospitality, though, as the locals pop in too to eat, drink and catch up on the gossip. There are many sites of interest nearby, and Belvis is also conveniently close to ski resorts (Ski property, Ski chalets for sale in France) and all the wonderful sporting facilities of the Pyrénéan resorts. The obvious drawback to Belvis is also its best feature. Location. The village is far away from the main hub of civilisation. With cities such as Carcassonne and Perpignan (Perpignan Property Guide) not so distant in miles yet taking quite some time to access due to the inevitable, twisting mountain roads, it makes you wish you could travel as the crow would fly. Our quest to find the most beautiful villages in the Languedoc takes us now to Collioure (Collioure Property Guide), a colourful fishing village on the Mediterranean coast in the department of Pyrénées-Orientales (Pyrénées-Orientales Property Guide), close to the Spanish border. Collioure is another well known beauty spot, drawing both native French and foreign holiday makers in their droves to appreciate its Catalan charm. Essentially a fishing village, although now supported ever increasingly by tourism, Collioure still places great importance on fishing, and the harbour is a never ceasing hive of activity as the little boats come in and out with their harvest from the warm waters of the Mediterranean. Anchovies are a speciality of the village, and there are many specialist outlets selling these as well as restaurants offering them in various delicious guises on their menus. Where do I begin? The easiest answer would be to say, "Drive to the town, park your car and simply look around you", when there would no longer be a question to ask, but in the event that this is not possible you could, perhaps, begin with the harbour. Protected on both sea sides by fortress style buildings, and backed by the vine clad hillsides of the Pyrénées, Collioure's harbour is one of the prettiest in the country. Collioure is a staunchly Catalan village, and this means that there are numerous festivals and traditions upheld here and that life is celebrated in true, joyful Catalan style. The wines from the region are excellent, and the gastronomy is second to none, especially if you are a lover of seafood. The village abounds in culture, with festivals, art galleries, concerts and exhibitions frequently held. Spain is only a heartbeat away, and Collioure is located near the airport of Perpignan for easy access from the UK. The only downside to Collioure is its popularity, meaning that it can be busy in high season and parking can be something of a headache. That discounted, this Catalan village is perfection. From Collioure, take the coast road east, heading towards Narbonne (Narbonne Property Guide, Narbonne Plage Property Guide), to discover another (although completely different) Mediterranean jewel of a village. Bages (Bages Property Guide), in the department of the Aude, is found on the shores of a salt lagoon, or "étang", set just inland from the Med. Parts of the village sit on top of low cliffs that rise from the edges of the lagoon, while others lie close to the waters edge, but whichever part of Bages you find yourself in, you have a treat in store. The étang is a natural source of many riches, some edible, as in the fantastic seafood that lives here and provides an income and centuries old way of life for the fishermen, and also in its wildlife, flora and fauna, as this unique environment encourages rare and beautiful species to flourish. Bages village is packed full of character, with narrow, winding streets and mellow houses basking in Mediterranean sunlight. This in itself could be enough to mark it out as a special place, but it is the unique natural environment created by the salt lagoon that really lifts Bages into the realms of a little paradise on earth. Think of watching flamingoes wading on the sparkling waters, their colours flaming ever deeper pink as the sun sets, and seeing the fishermen bringing home the catch of the day ready to appear, later, on your table in any one of the several excellent restaurants that this little village boasts. There are colourful and interesting little shops too, and a proliferation of art galleries and artists' studios, with the artists themselves inexorably drawn by the light, colour and atmosphere of this beautiful village. If any addition is needed to convince you to pay a visit to Bages, consider its location. You are a step away from the resorts of the Med, with the great town of Narbonne near at hand as well as access to the historic cities of Carcassonne, Montpellier (Montpellier Property Guide) and Béziers (Béziers Property Guide). Access from the UK is good, with flights into Carcassonne and Montpellier and a new airport planned at Béziers. Difficult to think of any really. The summer season can bring tourists to the village, but not usually in startling numbers, and it certainly hasn't been spoiled by tourism. Its desirability has pushed prices up, perhaps, but it is still possible to find reasonably priced property in Bages, and anyway, who can put a price on perfection? Travelling ever eastwards you come to the Gard department (Gard Property Guide), the Languedoc's last bastion before giving itself up to become Provence. Here, among the salt marshes of the Camargue, you find the imposing walls of Aigues Mortes (Aigues Mortes Property Guide) rising up out of the land, once ready to repel invaders but now with open gates to welcome you to its hospitality and heritage. Aigues Mortes lies in a land of salt and sand, of water and stone, of black bulls and white horses. It has history in abundance, having been created in 1240 to be the Mediterranean seat of St Louis. If you want to be pedantic, you could, perhaps, argue that Aigues Mortes is more of a small town than a large village, but with a population of only around 6,000 it is an arguable point. What makes Aigues Mortes special? Aigues Mortes makes its first claim to fame as soon as you see it looming on the horizon, and long before you have entered the town. Its ancient fortifications, its town walls, are said to be among the best preserved of their type in the country, and certainly the first impression is one that lives in the memory. There is something about a walled town that makes you determined to enter it, to see for yourself whatever hidden, magical world is concealed inside those forbidding walls. Aigues Mortes, once inside, offers treasures way beyond its own aesthetic charms, with museums, markets, exhibitions of art and even a little train to take you on a guided tour of this fascinating place. The setting of Aigues Mortes is special too, lying as it does in that utterly unique area of France known as the Camargue. The Camargue is a flat, marshy terrain, quite unlike anywhere else in the country, where black bulls and white horses roam free, and where, for centuries, the people have eked out a living from the natural resources of the salt from the sea and the delicious red rice that grows in the wetlands between land and sea. Aigues Mortes knows how to care for its visitors. It is well equipped with shops and restaurants, and celebrates its culture with a number of educational exhibitions and events. Its location in the central south of France offers access to two diverse and fascinating regions of the country, with the mystical and historic Languedoc to the west and Provence (Provence-Alpes-Côte d'Azur Property Guide) and the legendary Riviera (French Riviera Property - an insider's guide) to the east. Now you ask, there is a drawback to life in Aigues Mortes, but it isn't one that should put you off visiting this beautiful place. Just remember to pack plenty of insect repellent and "apaisant" creams to keep the dreaded Camargue mosquitoes at bay! Finally, and last but by no means least of our six, we find the little village of St Guilhem le Désert in the department of the Hérault (Hérault Property Guide). That this village should feature here will come as no surprise, for small though it is, St Guilhem le Désert has been officially recognised as one of the most beautiful villages in France. The village lies in stunning countryside in a natural pass through the Celette Mountains, at the point where the River Hérault flows into the Gellone Valley, and this rugged landscape is part of St Guilhem's appeal. An unspoilt mediaeval village, St Guilhem le Désert is surrounded, despite its name, by luxuriant Mediterranean vegetation, and occupies a land of vines and forests, gorges and rivers, rocks and castles. What makes Saint Guilhem le Désert special? St Guilhem le Désert is just perfect. Its unspoiled mediaeval character shines through its every amber coloured stone, and besides this beguiling authenticity, St Guilhem has a rich history to discover. This is evident in its wonderful Abbey church, dedicated to St Guilhem of course, its ruined Visigoth castle and its lovely main square, complete with sparkling fountain and age old plane tree which has provided welcome shade under its spreading branches and leafy canopy for generations of heat weary travellers. St Guilhem has offered hospitality to a lot of travellers over the centuries, as it was an important stopping point on the pilgrim route to Santiago de Compostuela. St Guilhem has a charming collection of artisanal studios, shops and cafés, and is the perfect starting point for anyone interested in the white water sports of canoeing and rafting. It is close to various sites of interest, with the impressive "Devil's Bridge", the dramatic Hérault Gorges and the Languedoc vineyards all around. St Guilhem is quite remote, and you will definitely need a car to visit it. 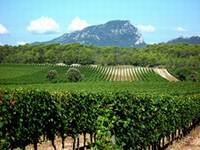 Access from the UK comes courtesy of the airports of Carcassonne or Montpellier. The six most beautiful villages in the Languedoc? For every village named here, there will be ten more vying for the title. The Languedoc is a mysterious and historical region, often war torn and with a thousand influences battling for supremacy in its architecture, its culture and its landscapes. Every village has its own beauty, but the villages mentioned here offer six different flavours of the region, showcasing its diversity and richness of heritage.